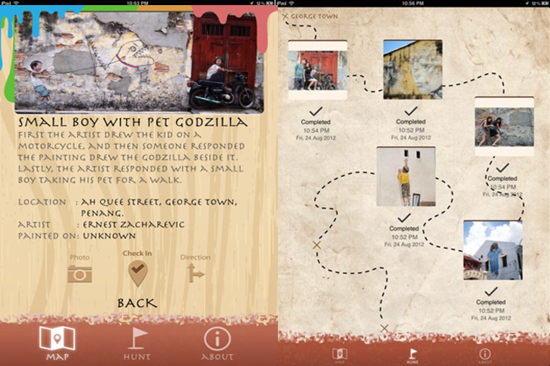 You can enjoy to hunt the Penang Mural Art via Penang Offline Mural Map App on your iPad or iPhone! My family and I always back to my hometown, Penang but, I never visit the Mural Art Street as I heard many friends love to spot one of murals are painted in different streets when they are looking for it! I like the simple mural drawing by Ernest Zacharevic. 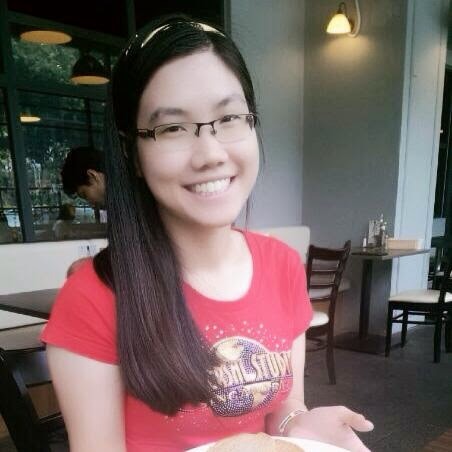 Today, it become the attraction of popular tourism in Penang! 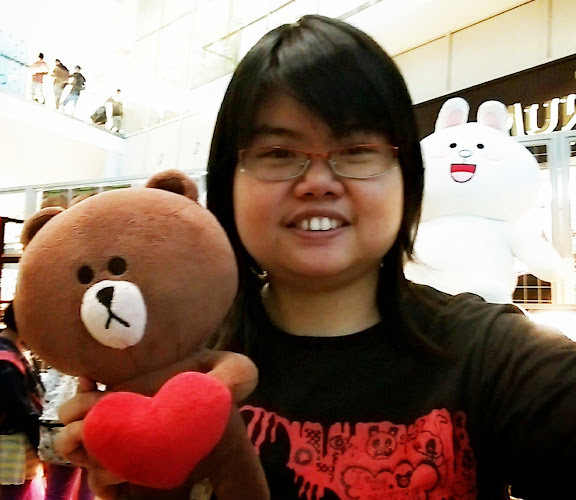 Many tourists love to act as what they want to be with the Mural characters on the wall of streets. If you not familiar with Penang or confuse about where you go to... Luckily, Agmostudio helped to create new app to find your favourite of mural painting on the streets! 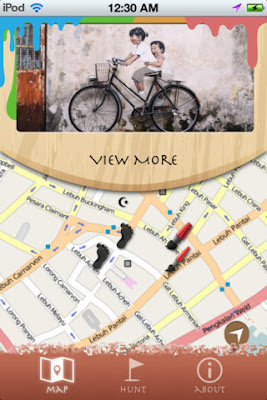 For iPhone or iPad users, you can download from Penang Offline Mural Map App @ itunes store. 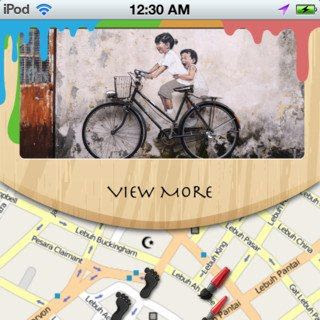 Penang Offline Mural Map is a great companion for you to visit and hunt for all wall paintings by Ernest Zacharevic. The mural project consists of 8 large-scale wall paintings strategically placed within the core heritage zone of George Town. The painted figure drawings celebrate the multiculturalism and diversity of local inhabitants. The murals are now must visit attractions in Penang. However, the murals are painted in different streets and it is not easy for travelers to find them. 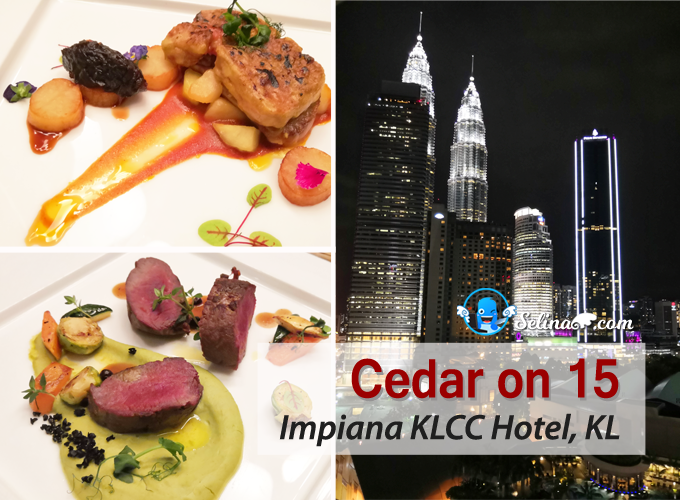 Therefore, this app is ideal for everyone who intends to visit Penang. Fully offline, no Internet connection is required! Add your own photo to associate with the visited murals, create your very own photo album for the amazing Penang Mural trip! Get directions to the mural. Journey map to help you review your mural hunting journey, have your photos and visited time placed on the route beautifully. The total time taken to visit all murals automatically calculated, share to your Facebook to challenge your friends.